This post is a little out of date because we were up at Prairie Mountain about a month ago. Yesterday, we actually made a second seed collecting expedition up there, which has prompted me to get my act together and publish these photos and anecdotes. We almost never go on “real” vacations (mostly because our weird house and animals are a little rough and complicated for any housesitter, and we can’t seem to get away from work that needs doing), but we do take some pretty good day trips every now and then. Henry had a day off of horseshoeing and was sort of caught up with projects around the house, so we loaded up the truck and headed out for an adventure. 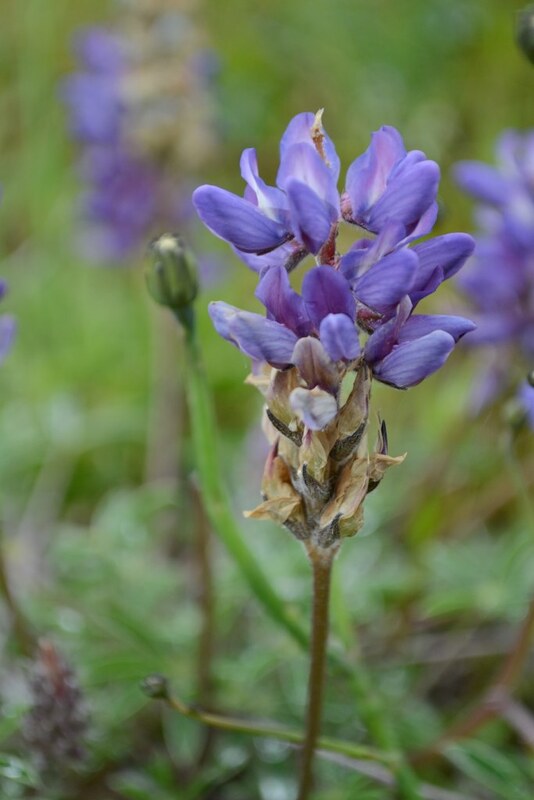 Henry had been scoping out Prairie Mountain near the Benton County-Lane County boundary line seven miles south of Alsea, OR for a while because he had strong suspicions that it would be home to rare or seemingly out of place native wildflowers. In order to reach the summit at 3350 feet, we had to traverse miles of BLM access roads and then miles more of almost impassible winding gravel road with exposed rock and monster potholes. After lurching over another rough patch, I turned to Henry “You have a good spare tire, right?” “No.” Then I started to get nervous, but we had cell phone reception the whole way and could have called reinforcements (family or friends) to rescue us if we needed to, but fortunately we made it up and back without any serious incidents. And we had snacks, so we were good. 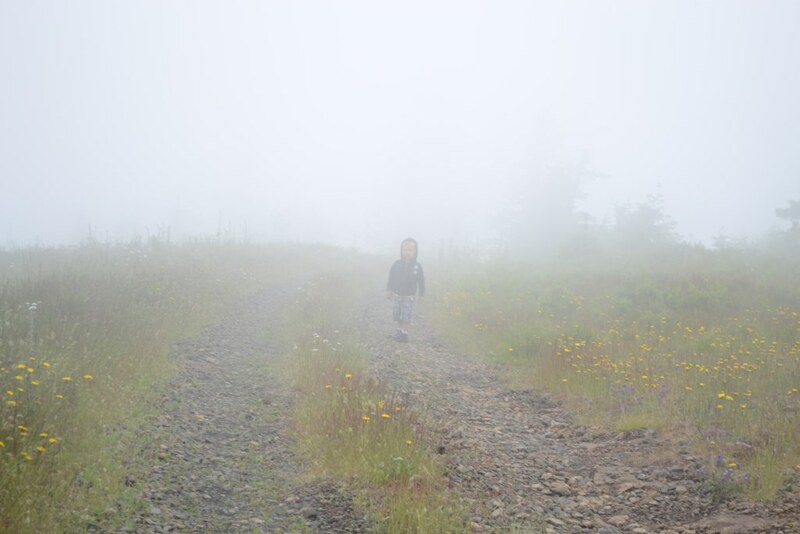 The weather that day was overcast in the valley, but up on the mountain, there was an interesting fog. Even in July, we all had sweatshirts on. 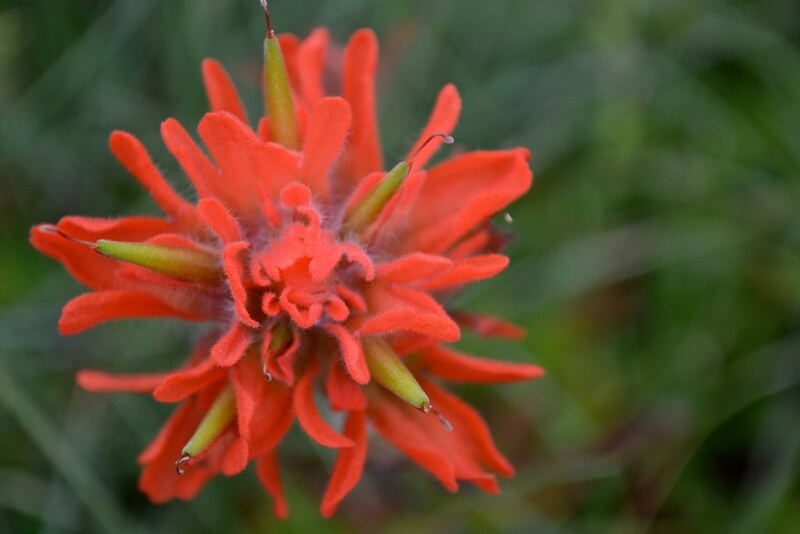 Harsh indian paintbrush (Castilleja hispida) is found locally on “Coast Range Balds,” meadow-topped mountains in Western Oregon. 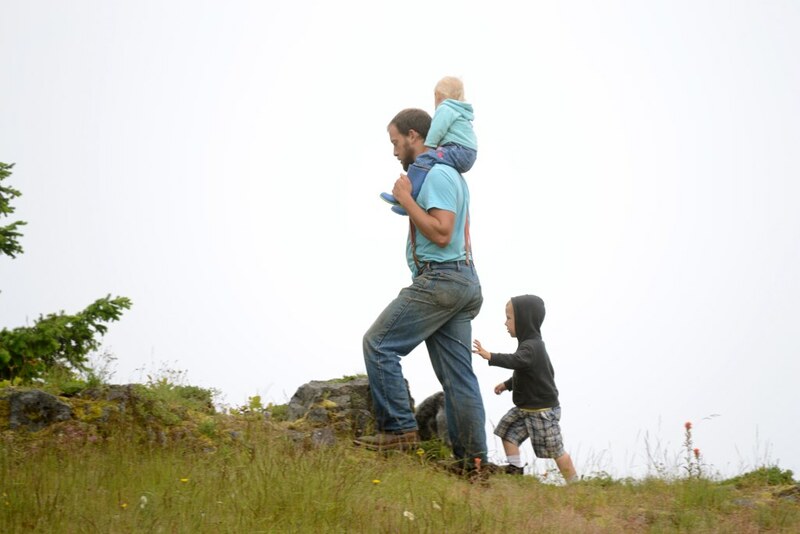 Levi and Charlotte are always real troopers when it comes to exploring new territory. 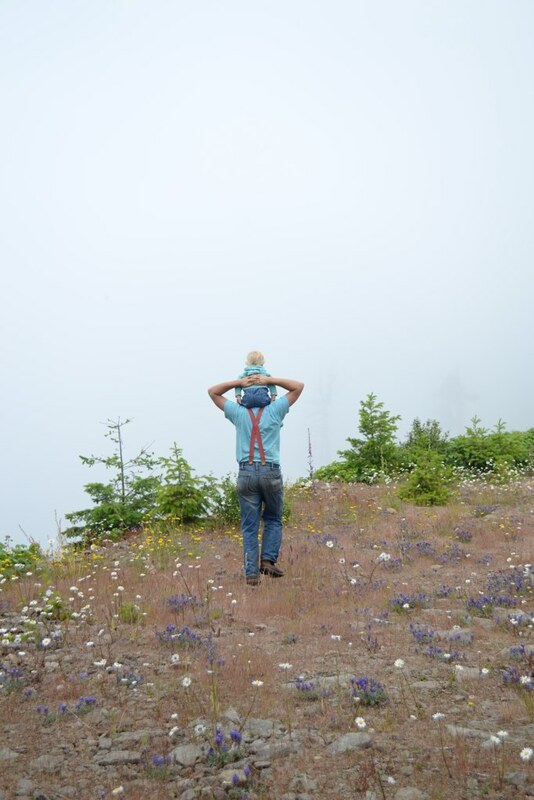 I swear that Levi could hike miles farther than I could. Charlotte, on the other hand, is constantly asking to be carried. She’s pretty cute, though, and little, too, so Henry and I take turns packing her around. 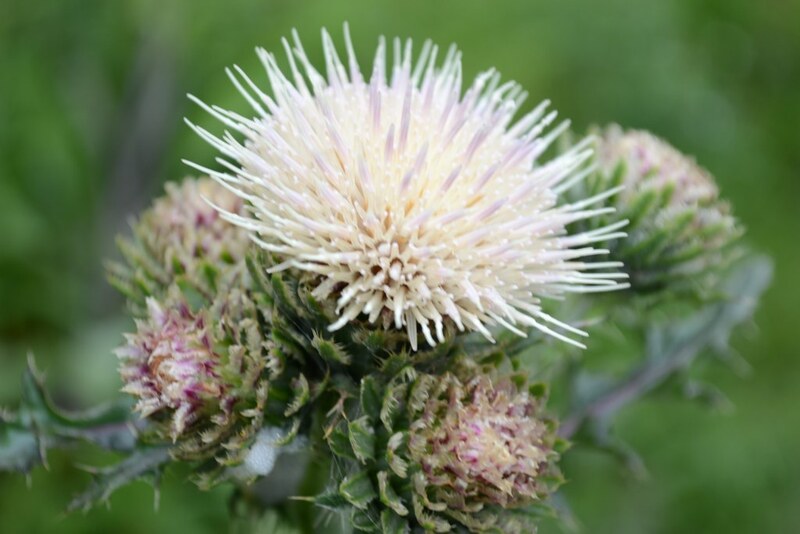 This is an unknown native thistle (Cirsium), possibly a hybrid or white form of edible thistle (Cirsium edule). It has cool white flowers. I’m so used to seeing the non-native purple Canadian and bull thistles that it’s a little weird to see a thistle thriving and not feel like I should yank it out of the ground. It still is pretty spiny, though, so watch out. 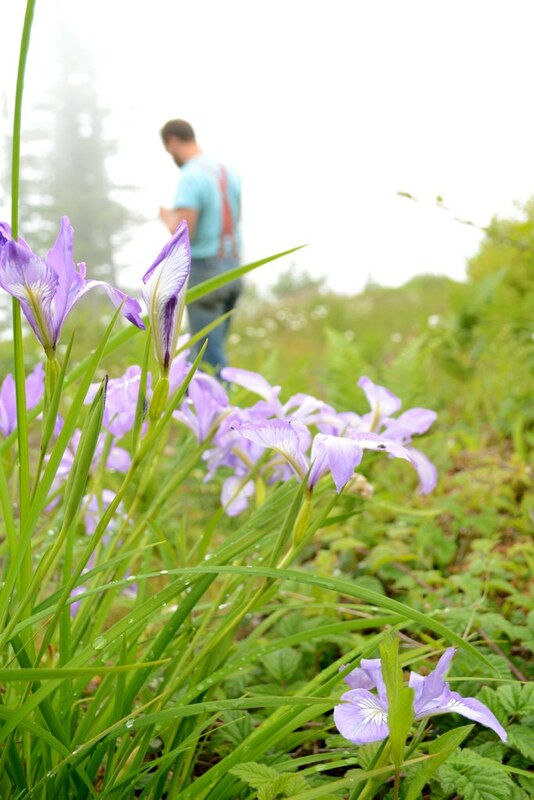 I was surprised to see toughleaf iris (Iris tenax) blooming much later at that elevation than on the valley floor. Henry also spotted some invasive meadow knapweed. He pulled all that he could find, but it’s the kind of nasty species that can take over an entire ecosystem in just a few years. 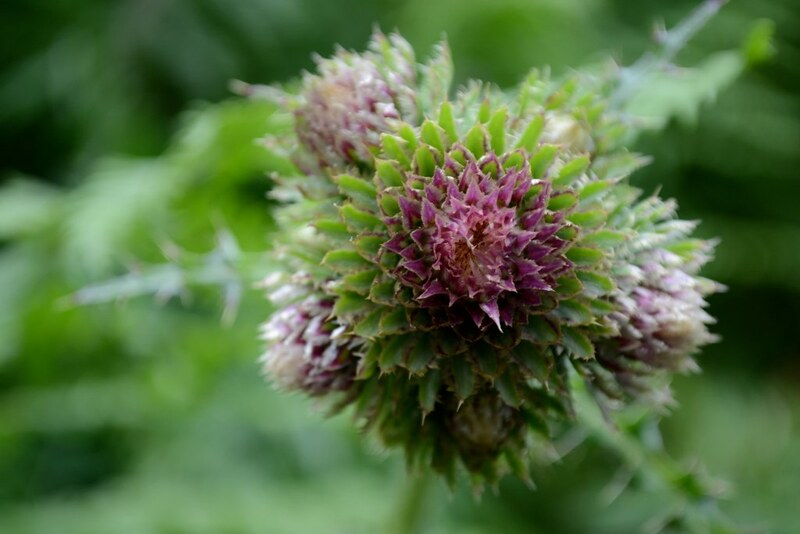 The presence of knapweed threatenes the biodiversity of the whole meadow ecosystem. 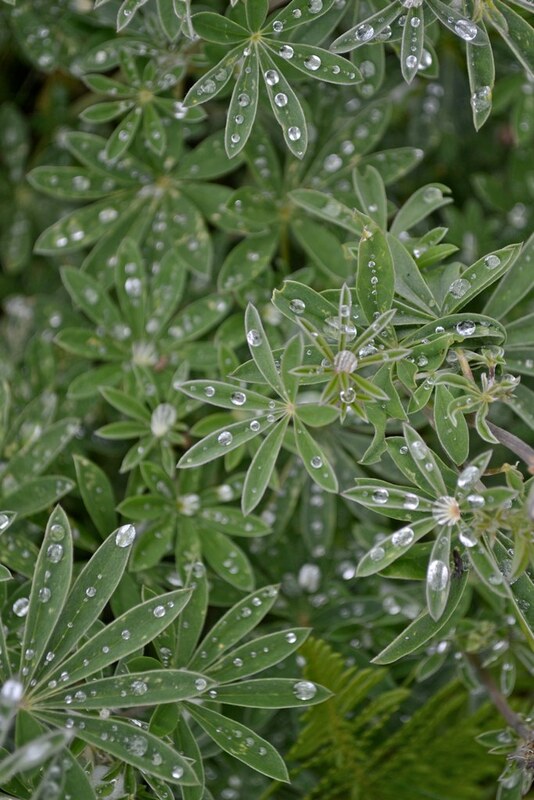 This is sickle-keeled lupine (Lupinus albicaulis). 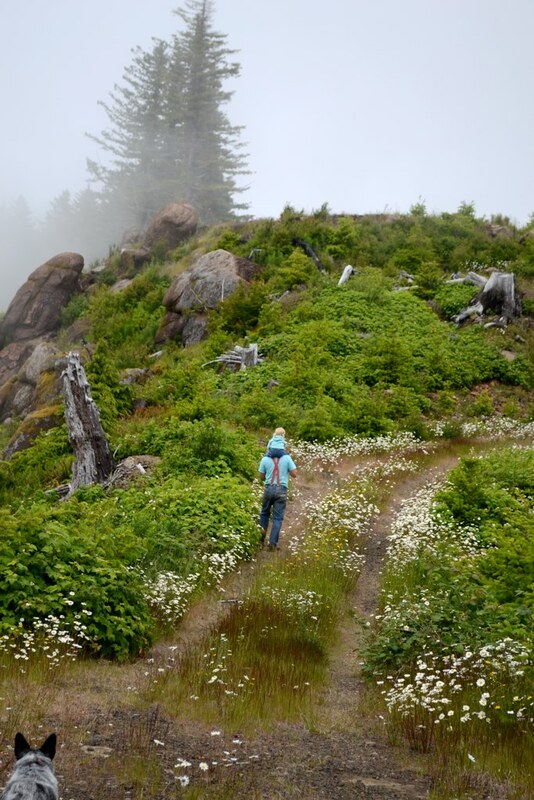 Prairie Mountain is a botanical island of Cascade flora in the middle of Coast Range timberland. Because it’s a little hotter and drier than other areas, conditions don’t favor tree growth, and the mountaintop meadow remains for now. 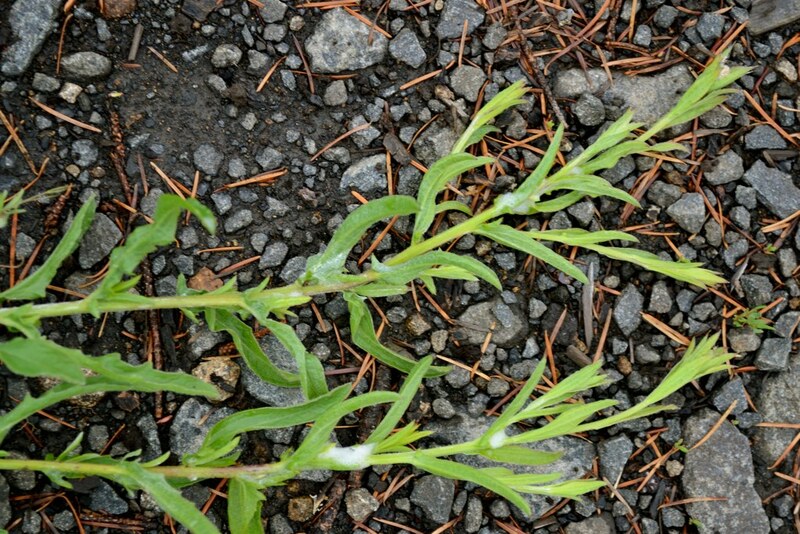 Here’s a common bracken fern interspersed with sorrel (Rumex acetosella) that’s invaded almost every Coast Range bald. 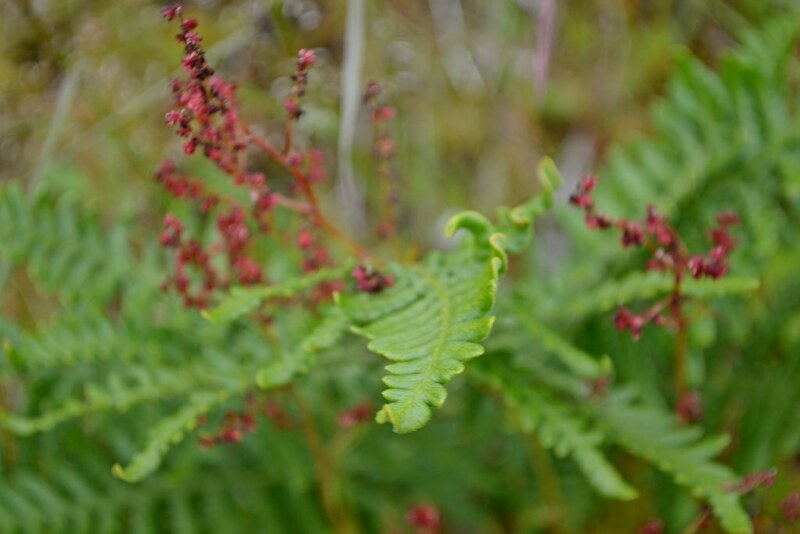 In the days of yore, bracken fern was a food source for local tribes who ate the rhizome roasted in fire pits. I took this photo of Henry when we arrived at the mountaintop meadow, and he jumped out of the truck and started yelling, “This is crazy!” Being something less than the botanical genius that he is, I had no idea what he was talking about, but he was excitedly spouting off scientific names, and I was trying to figure out just what the fuss was all about. 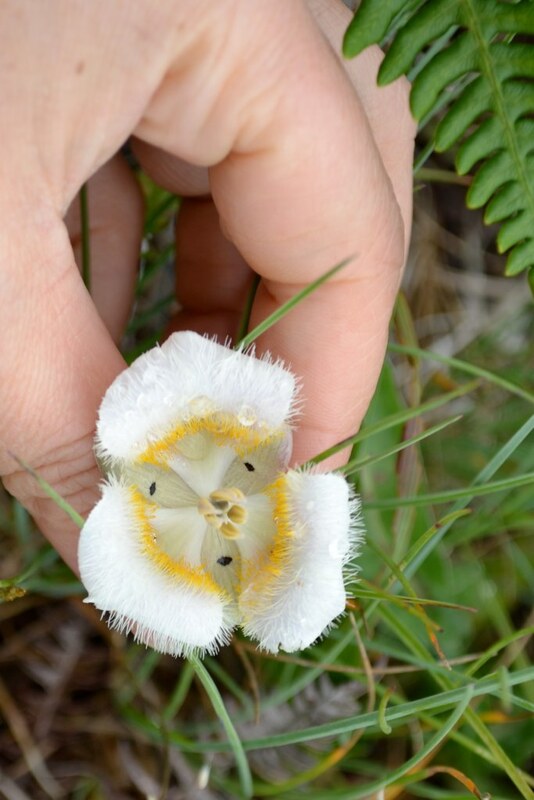 It turns out that this patch of cat’s ears (Calochortus subalpinus) is the only known Coast Range population. 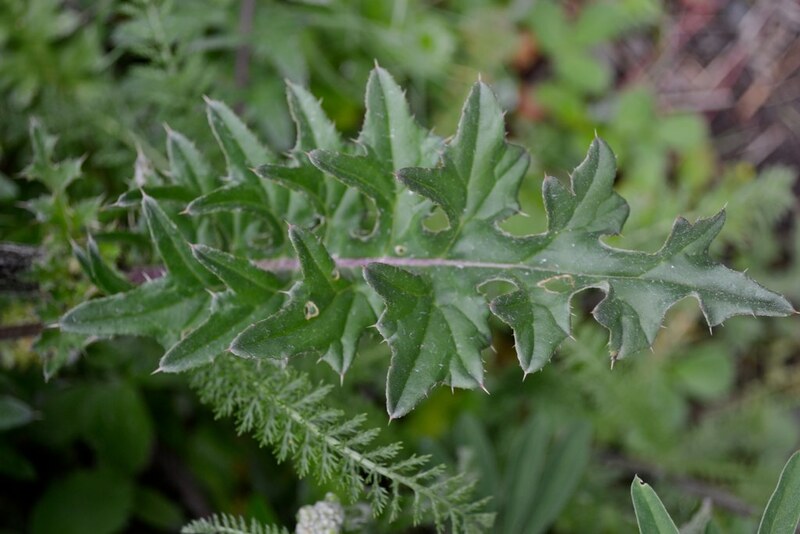 It primarily grows in the Oregon Cascades. I have to admit that Henry’s depth of knowledge and experience amazes me sometimes. I’ve kind of decided that instead of trying to keep up, I’m just going to tag along and document at least a few of his revelations. I always seem to learn a little something from trips like these, too. 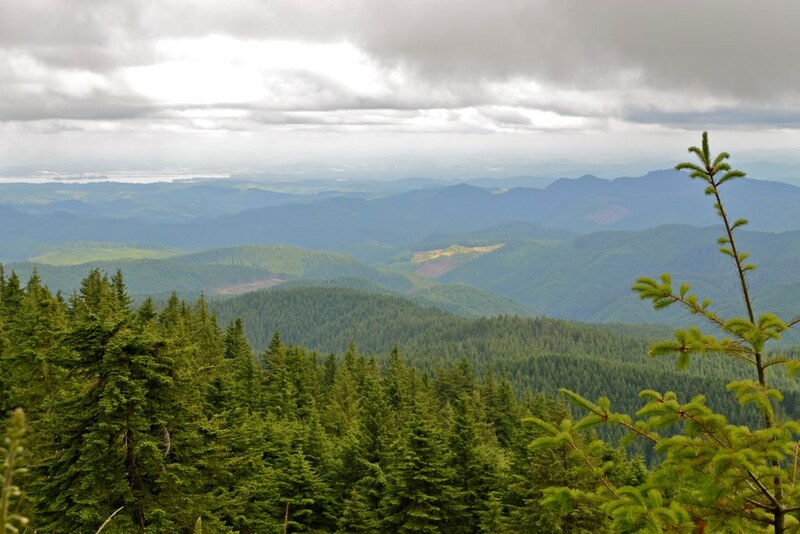 The meadow is surrounded by a matrix of managed private lands and idle public lands. We spent the afternoon on private timberland, but you can see BLM property in the background. 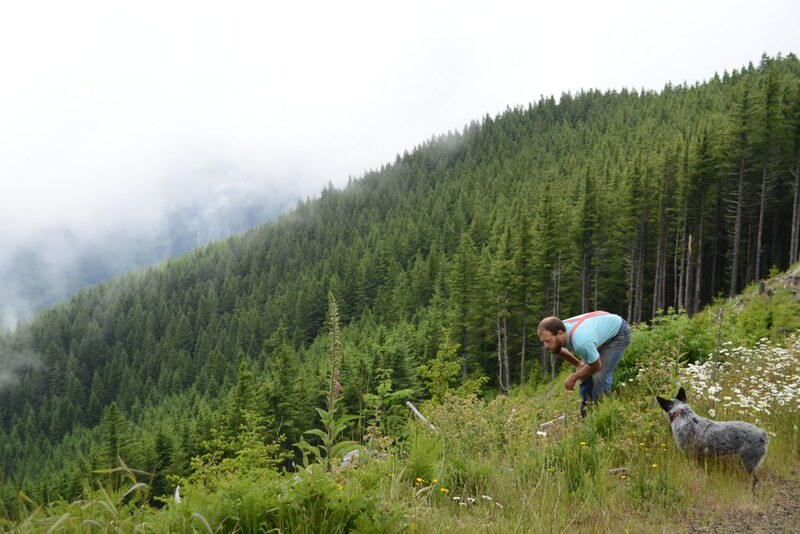 Some areas in and around the meadow had been logged and replanted with fir trees five or six years ago. 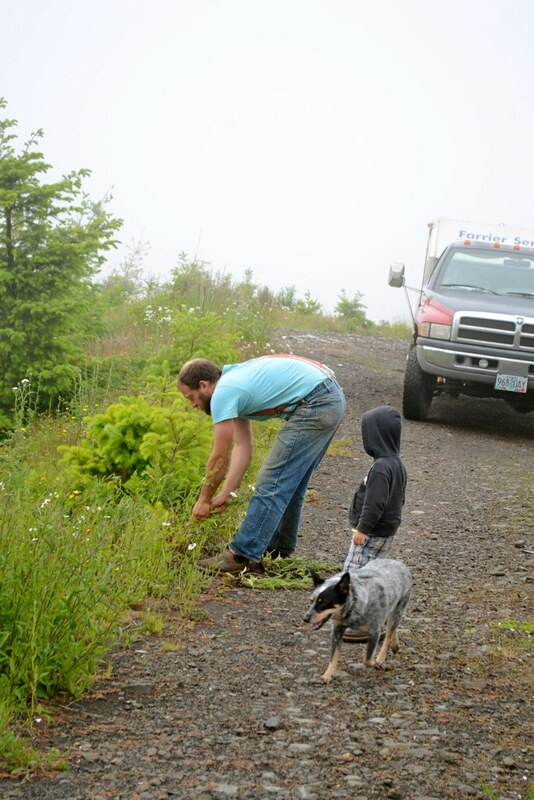 We walked on logging roads out to a landing. While this area seemed extremely remote, there was still graffiti and evidence of target shooting. 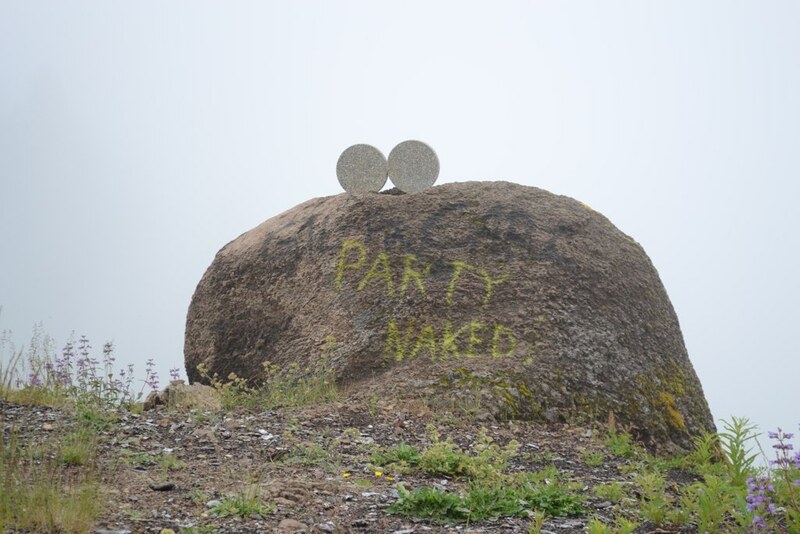 Though it was tempting, we didn’t actually partake in any naked partying. 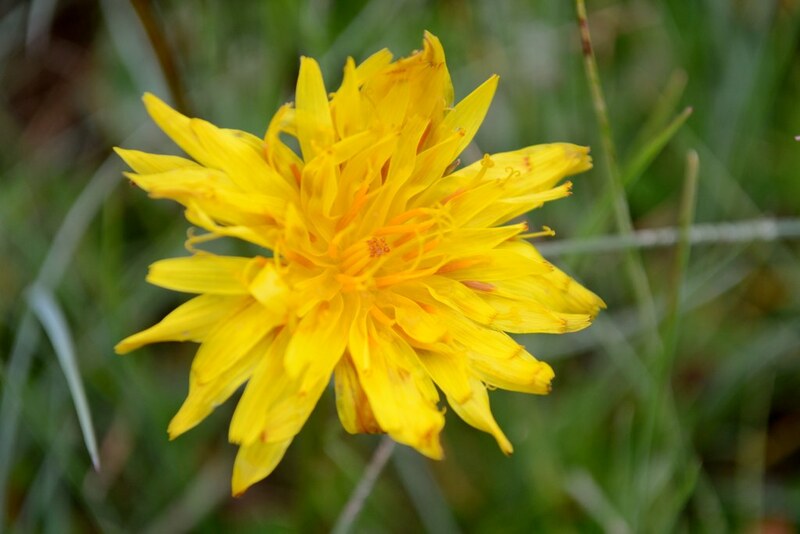 Agoseris is a native wildflower that looks like a dandelion. Some wildflowers were already done blooming. 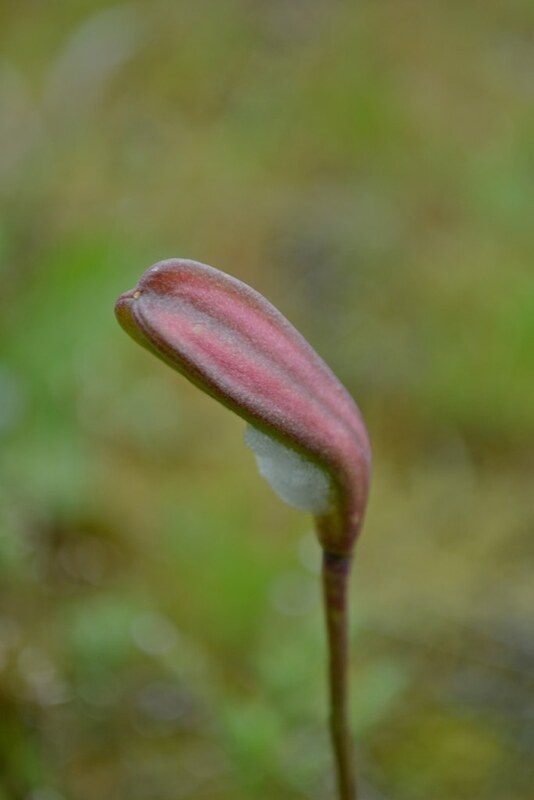 This giant fawn lily (Erythronium oreganum) had produced a nearly mature seed pod. 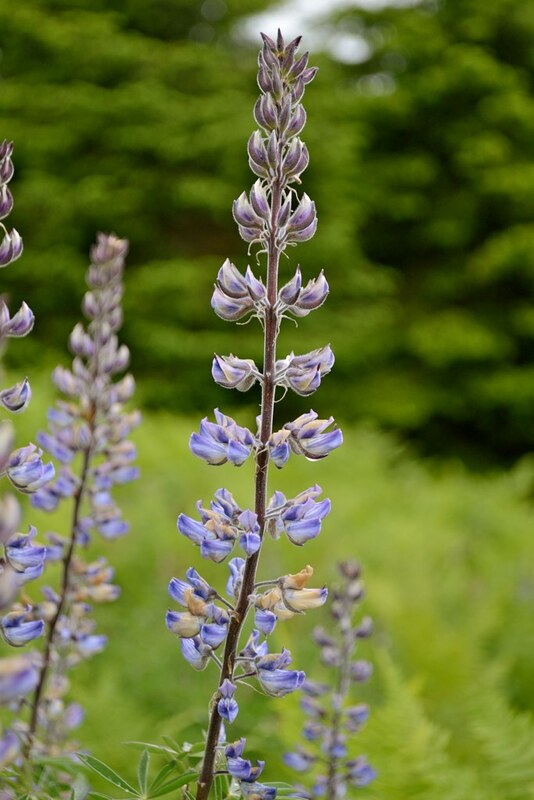 Little lupine (Lupinus lepidus) is only a few inches tall, but the abundant blue blooms sure made a good show. 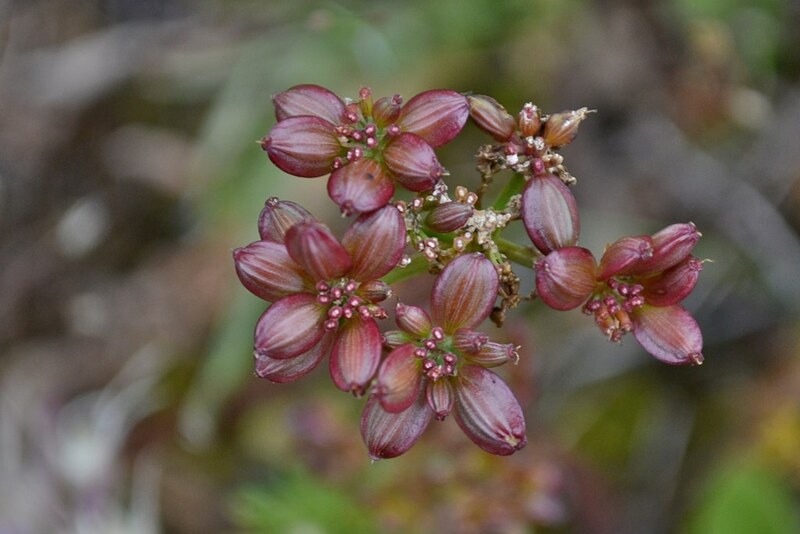 These are some nearly mature seeds of Martindale’s lomatium (Lomatium martindalei), another Cascade species that appears sporadically in the upper Coast Range. 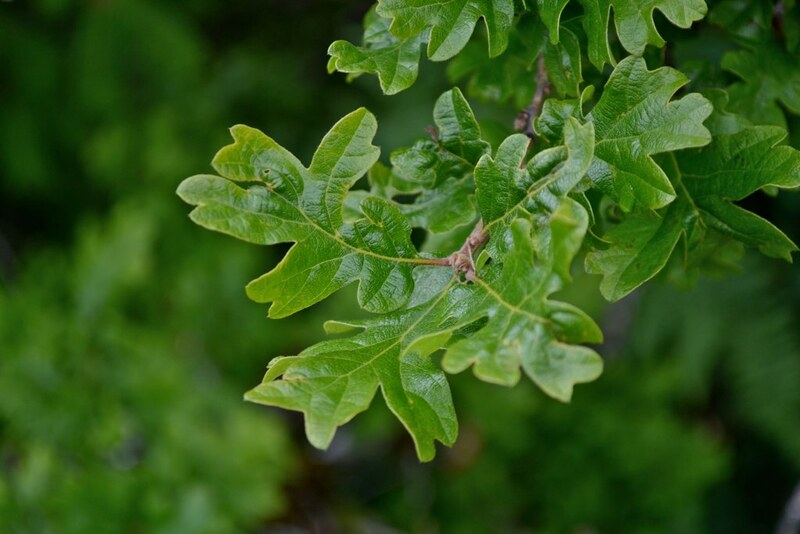 Henry started freaking out a little (in a way that only a true botanist can) when he spotted a single Oregon white oak (Quercus garrayana). It’s a common valley species, but it’s extremely rare at that elevation. 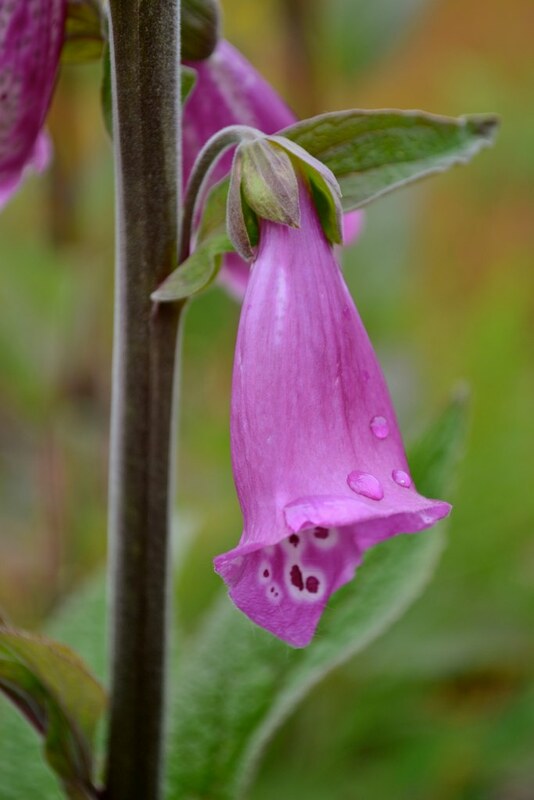 Though it grows all over, purple foxglove (Digitalis purpurea) isn’t native to Oregon. It’s so dang pretty, but it’s also poisonous. 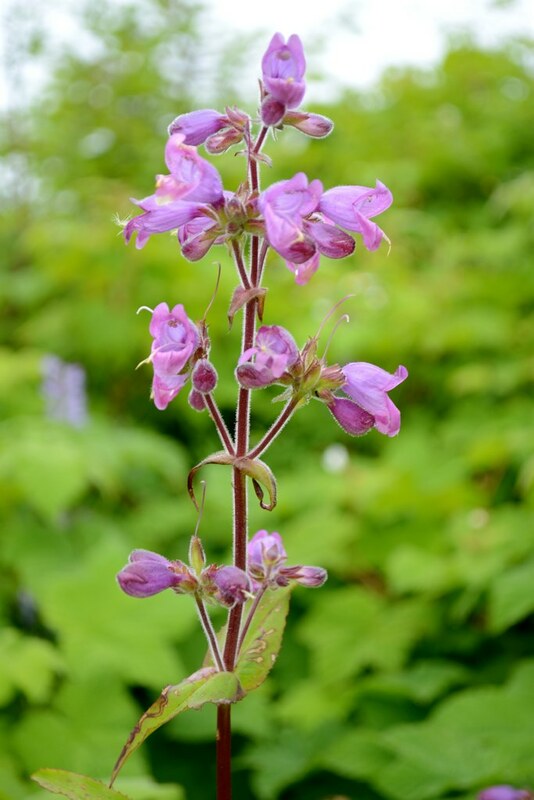 Native penstemon (Penstemon rattanii) is good nectar source for the hordes of local bumblebees buzzing around the meadow. 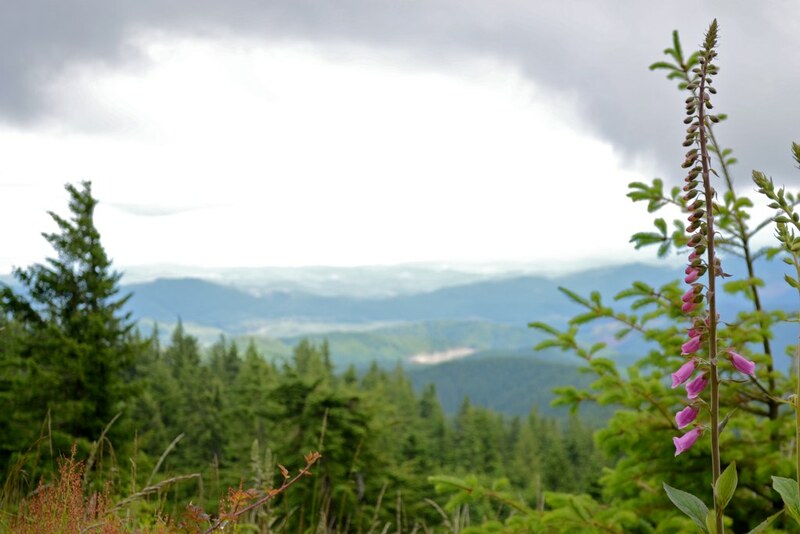 The views at the top of the mountain were incredible, especially when the skies cleared up a bit. We could see all the way to Fern Ridge in Veneta, Oregon (upper left). Even though I wasn’t quite as thrilled as Henry about all the crazy plants, I had a great time hiking around, seeing the sights, and spending some quality time with the family. As usual, all the plant names (common and scientific) came out of Henry’s head, and I didn’t double check them. 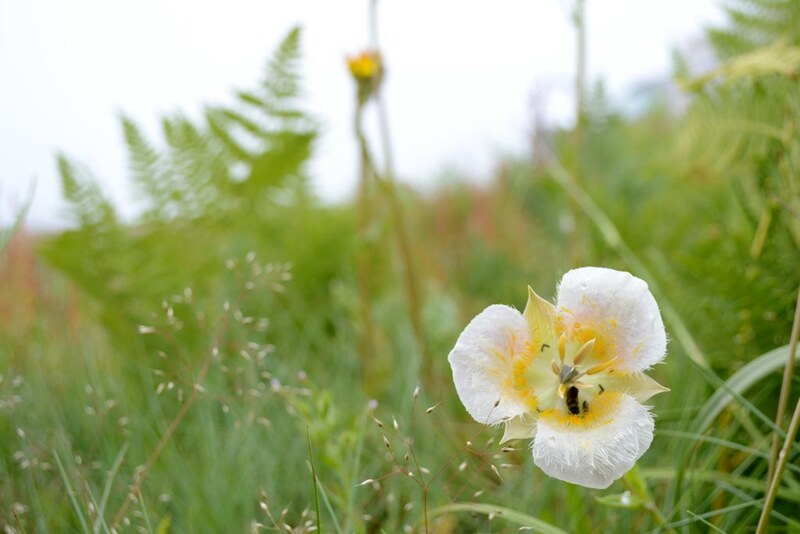 If you’re interested in really nerding out on wildflowers, see this set in my Flickr photostream. Beautiful pictures. I love identifying flowers. It’s pretty and educational. I live far away from Oregon, so these flowers are new to me! I was out of town and am now catching up on my reading. WOW. The two pictures of Henry from behind holding Charlotte made me tear up, they are so beautiful.